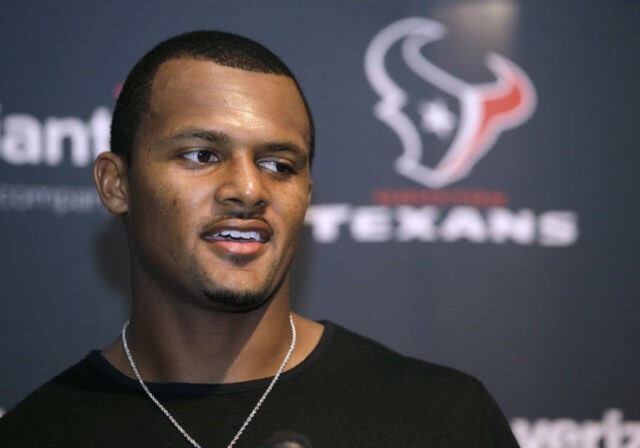 HOUSTON (AP) — Houston Texans rookie quarterback Deshaun Watson donated his first NFL game check to three NRG stadium employees who were affected by Hurricane Harvey. Watson surprised three women who work in the team cafeteria at the stadium on Wednesday. Watson donated about $27,000 of his base salary of $465,000. The women became emotional when he handed them an envelope with a red ribbon and one asked for a hug. He quickly obliged with a big grin.